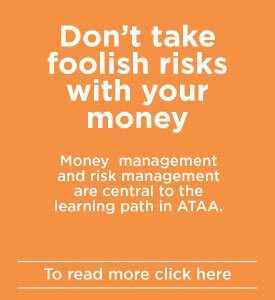 Education in technical analysis is one of the main objectives of the ATAA. This is being addressed in several ways. The monthly chapter meetings, SIG meetings, and annual conferences are all focused on educating members and increasing their knowledge and skills. However, in addition the ATAA offers a number of more formal educational courses. Firstly, we are pleased to be able to offer courses targeting the internationally recognised IFTA CFTe qualification. This is a home study computer based course and there is more information on this on the Home Study menu item. 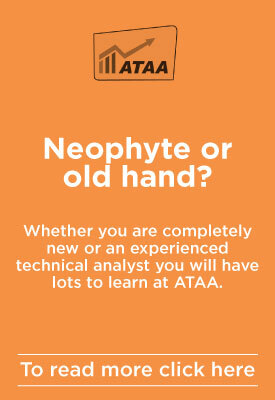 For those new to technical analysis, introductory course have been run in Sydney and Melbourne. Again please contact ATAA if you are interested. Further, a recommended starter book and other resource list is shortly to be made available on the website. The ATAA holds monthly presentations in each of its chapters across Australia. The ATAA maintains a wealth of presentations and other resources from global leading exponents and practitioners of technical analysis. Some of these have been gathered from International and Australian conferences.